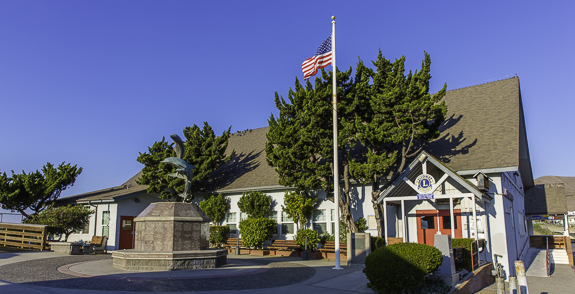 The Vets Hall will be closed for approximately two years as SLO county defines and implements a plan to refurbish the building. The kitchen and bathroom facilities will continue to be available, but the main hall and annex rooms will not be available until the repairs are completed. A 30'x60' tent has been installed where the picnic tables used to be located to support public and private events. 1/31/2017 - Status Meeting in Cayucos with Supervisor Bruce Gibson & Jeff Lee, Project Manager. Click HERE to see the material that was discussed. Our Veterans Hall is used for many different events, both public and private (e.g. ; club meetings, wedding receptions, birthday parties, etc.). You may also contact the Vets Hall Coordinator by e-mail or call (805) 720-3173.